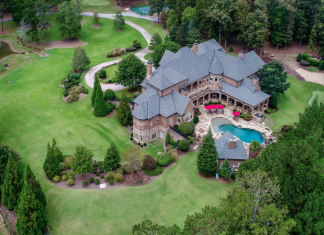 This vast 330 acre estate is located at 5327 US Highway 41 S in Bolingbroke, Georgia. 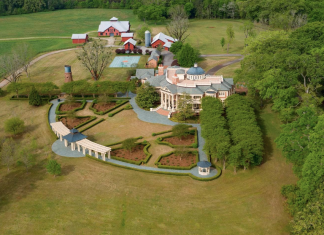 It boasts an incredible Georgian style brick mansion and multiple outbuildings (barns, guest houses, etc). 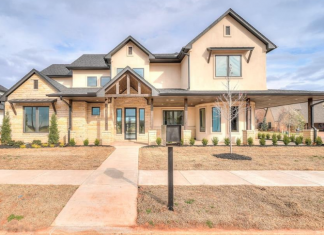 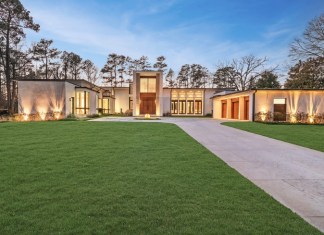 This modern home is located at 2830 Mabry Road NE in Atlanta, Georgia and is situated on 1.6 acres of land. 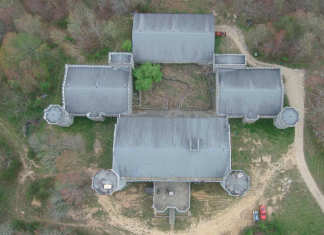 This unique, unfinished castle-like home is located at 33300 Highway 157 in Menlo, Georgia and is situated on over 240 acres of land. 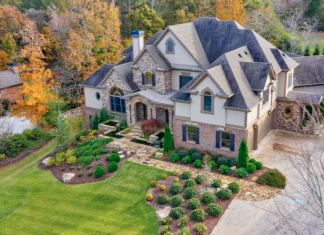 This brick & stone home is located at 14680 Freemanville Road in Alpharetta, Georgia and is situated on 11 acres of land.